Stained, painted or lacquered Basswood plantation shutters with 10 standard wood stain finishes. Stained or lacquered Cedar plantation Shutters with a huge range of colours. Painted Basswood Plantation Shutters with a huge range of colours including 7 shades of white and many other colours. White is the most popular colour and we have 7 shades of white as standard. Timber Plantation Shutters can be custom made in shaped windows with angles and curves. 64mm, 89mm & 114mm shutter blade sizes available depending on the depth of your window. Can be made as hinged operation with a choice of colours. Can be made as framed or unframed with no surcharge. Can be made as bi-fold operation or sliding. Ideal for sliding doors or larger areas. Can be custom paint colour for a minimal surcharge. Any colour from the Dulux colour chart range is available. Can be made with a pelmet. A variety of frames available to suit most window types. Plantation Shutters can be fitted on the face or reveal of a window. Can be motorised for a surcharge. Up to 950mm wide per shutter panel custom made to your window. Unlimited Panels. Panels can be joined together for a larger sliding panel. Up to 1700mm wide. Custom made to your exact window measurements. 2nd check measure always done to reduce errors and wait time. Clear warranty terms given in writing. Extended warranty terms honoured through Premier Shades and repairs done locally. Plantation Shutters are perfect for Bay Windows and have special frames to make them fit perfectly. Established over 20 years and considered the local experts in the business. If something goes wrong, they are around to fix it. Offer a no fuss warranty and back up service in writing. Have the correct insurances, police checks, and abide by consumer law and the industry code of ethics. The team at Premier Shades have regular "Shutter" training. They know latest styles, and techniques to make your job go smoothly. Premier Shades offer no interest ever finance via Certegy Finance. They also take Visa, Mastercard and American Express with no fees. Premier Shades give firm lead times "in writing" and if something is going to delay that time frame they will always update you. Premier Shades is a local independent business. They are not locked into any one brand or material. They will discuss your needs and work out what product is best for you. They put the quote in writing, outlining the type of Shutter you are getting and any other details you discussed. They have the biggest showroom on the Central Coast. They specialise in Shutters and have many on display. They are open 5 ½ days a week. 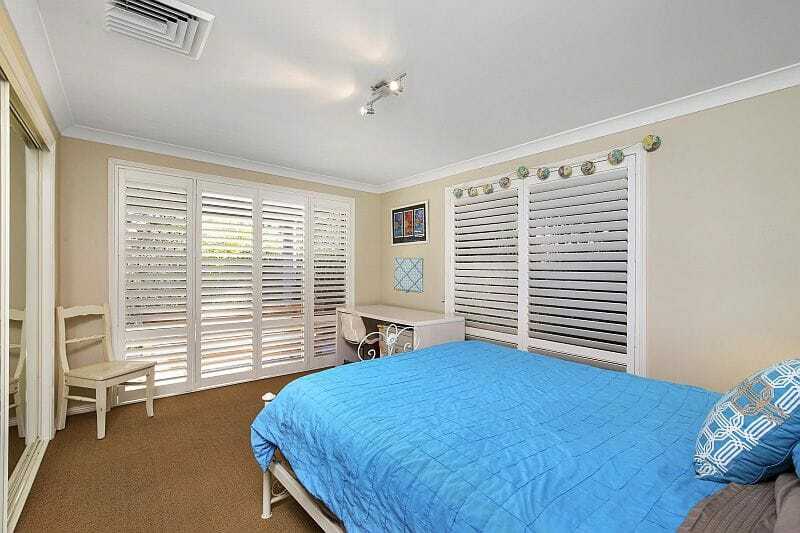 They have a team of expert installers that specialise in Shutter installation. "We would like to pass on our appreciation to you for the efficient and friendly service provided by your staff in fulfilling our order for plantation shutters for the whole house. the guys who installed the plantation shutters were courteous and professional and completed the work within 4 hours. Would happily recommend your business to anyone considering such a purchase"
"Thank you for the card and yes I am very pleased indeed with my plantation shutters, they have transformed the look of our house and rooms seem larger and lighter. We have had a lot of favourable comments too from the neighbours. I would also like to thank the team at Premier for their excellent service from the quoting, measuring and fitting, we look forward to doing business again if we decide to get something else done"
"Would just like to thank all at Premier Shades for the professional service and quality Plantation shutters which you recently installed. The shop staff were especially helpful and knowledgeable, even taking the time to provide us with an on the spot estimate.The installer, Brian, was courteous, professional and very competent and we are so pleased with the finished product......excellent all round. "A belated 'thank you' Premier Shades for the great job you did with our shutters & blinds. You have given our home a whole new look with which we are extremely happy. The customer service you provided throughout the whole process was great and your after service is excellent. Have already recommended you to others and will continue to do so." "I had pretty big windows and that had odd corners. We had just moved into a new house and they had old verticals in there. The shutters have really made a difference. I'm noticing the have given us a lot more privacy and insulation and all my friends and new neighbours have noticed how much better the house looks. Premier Shades was easy to deal with and let me do finance to pay it off"
"Good price; not the cheapest but you get what you pay for and I got a lot. The fit up is excellent; courteous staff/ spot on tradesman and very well mannered. Installed on time not one ounce of trouble ... well done Premier Shades !! I would definitely recommend them"
"Thank you Premier Shades, we just love our beautiful Plantation Shutters. From the measure/quote, to the installation, everything was done brilliantly. Jim and Sharon provided the quote and measure and gave us very helpful advice on products along the way. Brian installed the shutters - he was very professional and respectful of our new house and did a fantastic job. It's great to see a local Aussie company being a leading industry specialist. Premier Shades are very much client focused - ensuring a positive outcome and great customer service. Thank you for making the whole experience so easy from start to finish. I would not hesitate to recommend your company to family and friends"